From this month onwards, UK buyers of Sekonic light meters will get a 5 year warranty with their purchase. From this month onwards, UK buyers of Sekonic light meters will get a 5 year warranty included in their purchase. The plan applies to units bought via an authorised dealer of JP Distribution on or after 1st May 2012 and registered at www.sekonic.com. Official servicing and repairs are performed in-house by JP Service Solutions, based in Staffordshire. The warranty covers labour and spare parts for faults due to manufacturer error, but not for damage arising from accidents or misuse. 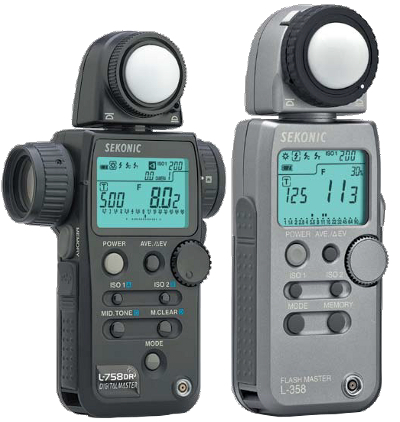 The Sekonic range of flash, light and colour meters include the FlashMate L-308s, FlashMaster L-358 and DigitalMaster L-758 series. In some models, internal modules allow wireless triggering of PocketWizard radios and certain brands of studio lights. For a list of Sekonic dealers, please visit the JP Distribution web site.